There are a multitude of investment options available for every life goal that you’ve set for yourself. Each investment option has its own set of pros and cons, requiring careful planning of your investment portfolio. So why should you invest in mutual funds? Mutual funds offer a variety of schemes that suit your needs, be it regular income, capital growth or protection. It allows investors to pool in their money to purchase securities (stocks, bonds, money market instruments) managed by a professional fund manager, backed by a team of experts. You can build a portfolio that matches your investment objective and rebalance it according to your changing lifestyle needs. When you invest in a mutual fund, you benefit from the knowledge and expertise of professional fund managers backed by a dedicated research team. The fund manager continually analyses the prospects and the performance of stocks and selects suitable investments to attain the objectives of the scheme. Diversification allows you to spread your investment portfolio across various industries and geographic regions. This helps you reduce risk since rarely do all types of investments decline in value at the same time and if one stock or asset goes down, there will always be another that compensates for it. In case you are in urgent need of money, you can easily redeem a part or whole of your investments in open-ended funds and get back your money based on the net asset value (NAV) at that time. The process is standardised and helps you get your cash in hand quickly. Mutual Fund performance is reviewed by various rating agencies and publications, making it easy for you to compare one fund with another. As a unit holder, you will receive regular updates on your investments as well as information on the fund's holdings and the fund manager's outlook and strategy. A personal loan is your best friend on festive occasions, as it can help you live those special moments exactly the way you want. Mutual funds offer you a plethora of options based on your investment objectives. You can buy and sell mutual funds on any business day as per your convenience. All Mutual Funds are registered with Securities Exchange Board of India (SEBI) and follow their stringent regulations. SEBI regularly monitors the operations of mutual funds and ensures that it protects the interests of all investors. are registered service marks of Citigroup Inc. or its affiliated used and registered throughout the world. Citibank N.A. provides investment services as a distributor of third party Investment products (shortly referred as ‘investment products’). Citibank N.A. does NOT provide investment advisory services in any manner or form. Investment products do not pertain to Citibank. Investment Products(i) are not bank deposits or obligations of or guaranteed by Citibank, N.A. Citigroup, Inc or any of its affiliates or subsidiaries; (ii) are not insured by any governmental agency and (iii) are subject to investment risks, including the possible loss of the principal amount invested. Past performance is not indicative of future results, prices/invested sum is subject to market risks which may result in appreciation or depreciation. The ownership of any investment decision(s) shall exclusively vest with the Investor after analysing all possible risk factors and by exercise of his/her/its independent discretion and Citibank N.A shall not be liable or held liable for any consequences thereof. Investment products are not available to US persons, Residents of Canada and may not be available in all jurisdictions. By making any investment, you confirm your deemed acceptance to the conditions mentioned herein. 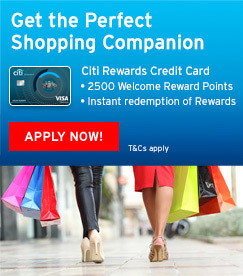 Investment products are distributed by Citibank N.A. on a non -discretionary and non-participation basis. The final investment decision shall at all times exclusively remain with the investor. Investors investing in investment products acknowledge that: (i) the third party product provider may invest in products denominated in non-local currency; (ii) there could be risk of exchange rate fluctuations, which may result in loss of principal or erosion of value of investment. This document does not constitute the distribution of any information or the making of any offer or solicitation by anyone in any jurisdiction in which such distribution or offer is not authorized or to any person to whom it is unlawful to distribute such a document or make such an offer or solicitation. Please exercise diligence by reading & understanding the Key Information Memorandum(s)/Scheme Investment Document(s) & Statement of Additional Information/Term Sheet/Prospectus carefully before investing and no claim whatsoever shall be made against Citibank N.A. any of its affiliates or subsidiaries and / or employees claiming any influence/recommendation/advice/responsibility/liability as against your decision to invest in any investment product. Investor should ensure to understand, accept the identities of different parties and the roles that they play in relation to the various Investment Product(s). Investor acknowledges that, there may be various actual or potential conflicts of interest between Citibank N.A. India, Citigroup Capital Markets Ltd., Citigroup Inc. or their affiliates or subsidiaries (collectively “Connected Persons”) and that of an investor itself, as a result of the various investment and/or commercial businesses and/or activities of the Connected Persons. You are deemed to accept, on purchasing/ subscribing / investing to a particular Investment Product(s), that any such conflict may exist and may be prejudicial to an investment in the Investment Product(s). Citibank N.A. provides no independent research or analysis in the substance or preparation of this report. The information in this report has been obtained from reports issued by Citigroup Global Markets and Citigroup Investment Research. Such information is based upon sources Citigroup Global Markets (CGM) / Citigroup Investment Research (CIR) believe to be reliable. CGM and / or Citibank N.A., however, do not guarantee its accuracy and it may be incomplete or condensed. All opinions and estimates constitute CGM's view as of the date of report and are subject to change without notice. This report / presentation is provided for general information only and nothing contained in the material constitutes a recommendation for the purchase or sale of any security and/or currency. As a prerequisite condition for arriving at a decision to invest, any investor considering an investment should seek independent advice on the suitability or otherwise of the particular investment.